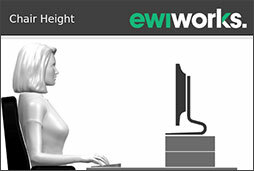 An interactive step-by-step guide for employees to adjust their own workstation. 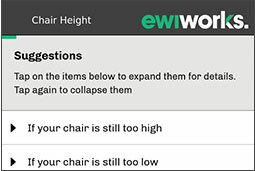 This is an effective triage tool to determine prioritization of employees requiring ergonomic assessment. 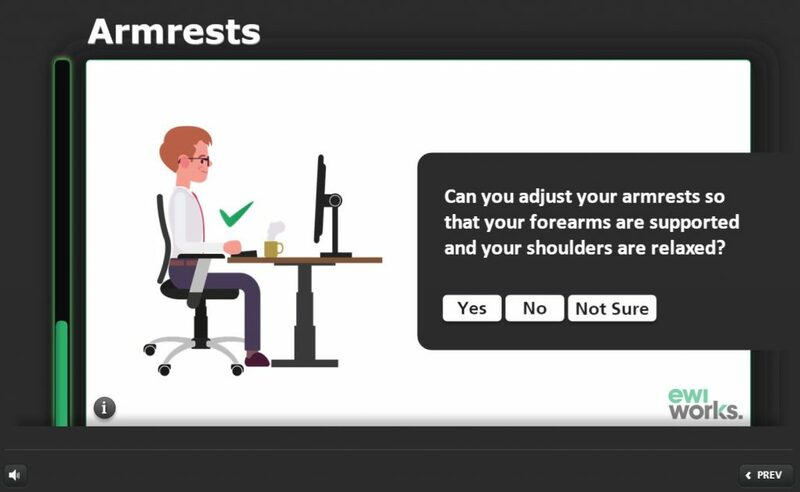 The Ergonomics Self-Adjustment Tool enables the user to adjust their own workstation through a step-by-step interactive process which also identifies whether there is a need for minor equipment, and/or follow-up action items. In the case where the issues may be outside the capability of the tool, or may represent more significant cost, a professional assessment will be recommended. For most with reasonably adjustable or well suited workstations, the self-adjustment will be sufficient. This proactive and educational tool promotes efficient use of resources and identifies potential issues before discomfort develops.